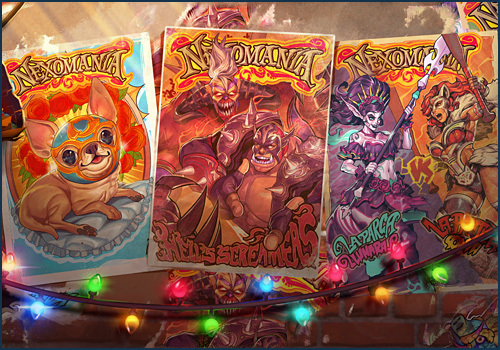 Nexomania has begun, bringing new quests and rewards, as well as many new skins and mounts to Heroes of the Storm! Read on for details, as well as more info about gameplay updates for Lunara and Diablo. Learn even more about Nexomania by visiting the official Heroes website! Hanamura has been temporarily removed from Custom Games.